The health benefits of CBD has become a hot topic in recent years. In fact, it’s now recognized as one of the main therapeutically active constituents in the marijuana plant. CBD (also known as hemp oil) offers a wide range of health benefits ranging from muscle relaxant to anticancer. For a more in-depth review of its many benefits, visit our guide to CBD to learn more. Despite its many health benefits, high level of safety, and lack of psychoactive effects, the legal status of CBD remains unclear. This is further complicated by differences in regulation on a state by state basis. Here, we aim to provide some clarity as to the legal status of CBD in the United States. Many people are familiar with the idea that marijuana is used for getting high while hemp is used primarily for its seeds and application in the textile industry. CBD is found in both hemp and marijuana plants. This is important to understand when discussing legality because hemp and marijuana are regulated very differently. What may be surprising is that hemp and marijuana are actually the exact same species of plant (Cannabis sativa). 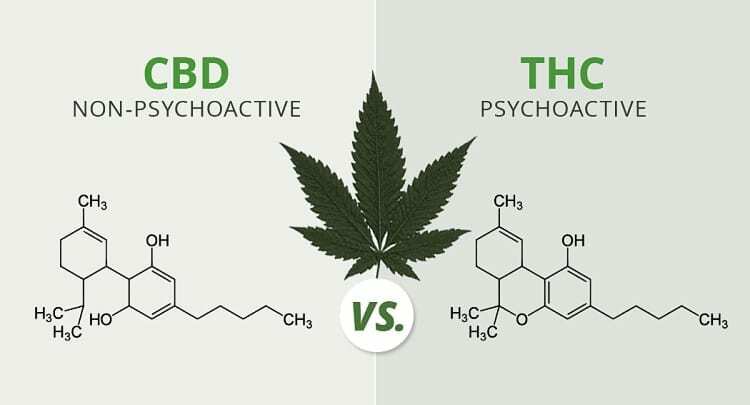 The only difference between them is the amount of THC contained in its buds. In order to be classified as hemp, the plant must contain no more than 0.3% THC by weight. THC is considered the main psychoactive constituent in the plant and is what is responsible for producing the high from smoking marijuana. Since hemp contains little to no THC, it has no psychoactive effects whatsoever. This is why the federal government has excluded it from its Controlled Substances Act, and deem it legal for industrial production. Marijuana, on the other hand, has no limit in THC content and has been reported to have as high as 30% THC in some species (such as King Tut or Ghost OG). This makes marijuana psychoactive and is therefore included in the US Controlled Substances Act as a Schedule 1 substance (making it illegal on a federal level). The difference in classification between hemp and marijuana dramatically changes the legal status of the plants, along with the constituents found inside. The marijuana plant has had a long and challenging history regarding legal status in the United States, as well as the rest of the world. To this day it remains banned in most countries. 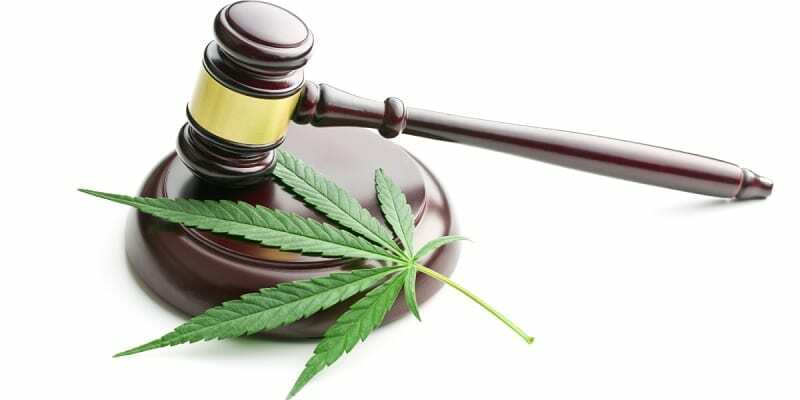 As times change and more people begin to understand the usefulness of this plant, laws are slowly starting to revisit the status of marijuana country by country. Marijuana’s long and tortuous legal battle began in the mid-1930s in the United States. The United States government began campaigns against its use. They associated it with insanity, aggression, and criminal activity through propaganda films like Reefer Madness (released 1936). Prior to this, marijuana was sold freely in pharmacies across the world. The 1936 Geneva Trafficking Convention was a treaty aimed at a worldwide ban involving the cultivation, manufacture, and distribution of cannabis products. This treaty also included coca and opium. Although some countries chose to disregard this project, it’s what lead to the regulation of marijuana in much of Europe, as well as Canada, and Australia. In 1970, the Controlled Substances Act was passed in the United States, which banned marijuana from all forms of use, including medical. It wasn’t until recent years that marijuana regulation was revisited. The first changes were to support the medicinal use and research. In 2014, then President Barrack Obama passed the Agricultural Act of 2014. Section 7606 of the Act outlined the legal classification of hemp and allowed the use of industrial hemp for research purposes. This was followed by changes that included recreational use of all Cannabis products in certain states like Colorado in early 2014. This included both CBD and THC containing extracts. Currently, marijuana is legal for recreational and medicinal use in 9 states. Industrial hemp is legal in all 50 states, however, there is additional legislation regulating its extracts (including CBD) in 33 states. Marijuana has been illegal in the United States since 1936. This remains true in many (but not all) states to this day. The law surrounding marijuana doesn’t specifically mention the constituents of the plant. It does, however, specifically indicate elements like resin, unsterilized seeds, or leaf material from the plant as illegal. This would include CBD which is found in the leaves and resin of the plant. As such, CBD derived from marijuana is legal in 9 states, illegal in 4, and reserved for medicinal use only in the remaining 37 states. “Medicinal use only” involves getting a specific recommendation from a doctor in the form of a registered ID card (issued on a state by state basis). As highlighted in the Agricultural Act of 2014, any Cannabis sativa plant with a THC content below 0.3% is considered hemp. All hemp is considered legal in the United States. The main reason for a separate classification of hemp is to allow for its industrial uses. Hemp is a versatile natural resource. It has strong fibers which are used for making clothing, composites, and biodiesel. It’s also used in soapmaking, concrete, and even automotive manufacturing. As a crop, hemp grows fast, resists drought, and rarely requires pesticides—plus it’s sustainable! It’s considered to be a more sustainable source of fabric and paper than cotton and wood respectively. Fortunately, hemp generally contains high amounts of CBD as well. The legislature doesn’t specifically regulate cannabinoids themselves. This allows extracts taken from legal hemp to avoid regulation by the United States government that remain high in the therapeutically active CBD. Despite the legal status of hemp and its extracts in the eye of the federal government, there are some states that have developed their own regulations for CBD derived from hemp. Some states allow medicinal use of CBD derived from hemp with a doctor’s recommendation and ID card. Some states stop here, while others also place limitations on the THC content contained in the extract. Across the globe, different countries have developed their own opinions on marijuana, hemp, and their derivatives. It’s difficult to argue the medicinal benefits of CBD. As more people become aware of the benefits of this compound, it’s likely we’ll begin to see further changes in its legal status. As it currently stands, CBD oil derived specifically from hemp is legal in the majority of the United States, while marijuana derived CBD is only legal in a select few. Whenever purchasing CBD, it’s important to do some research on the specific state you live in. This is because the legislation around this substance can vary a lot from one state to the next.